Just 2 more days until Christmas! 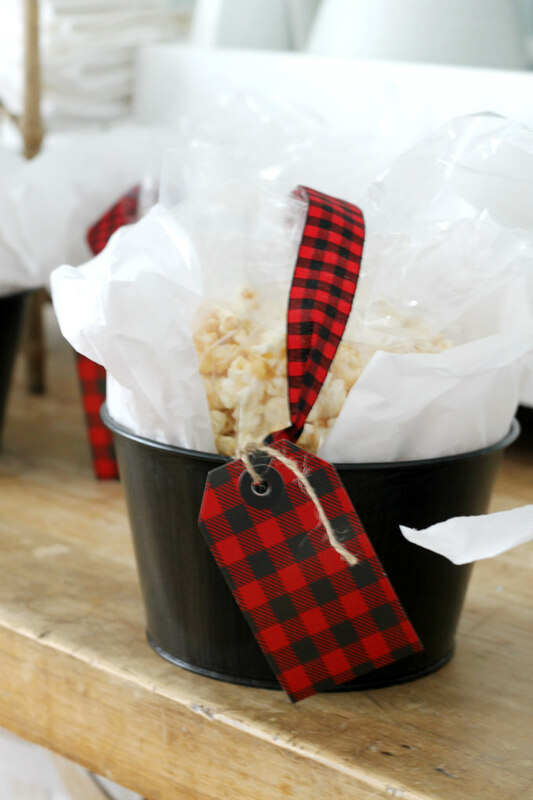 So I thought I'd sneak away from my hyperactive boys and share a yummy popcorn recipe with you. This is what we passed out to our neighbors this year. I basically already had all of the ingredient on hand, I just had to grab some fresh marshmallows at the grocery store, and then I whipped up some Yummy Peanut Butter Popcorn. Now I made a lot! I'll share the recipe here in just a bit, but just so you know, I had doubled the recipe here to fill 5 bread bags. 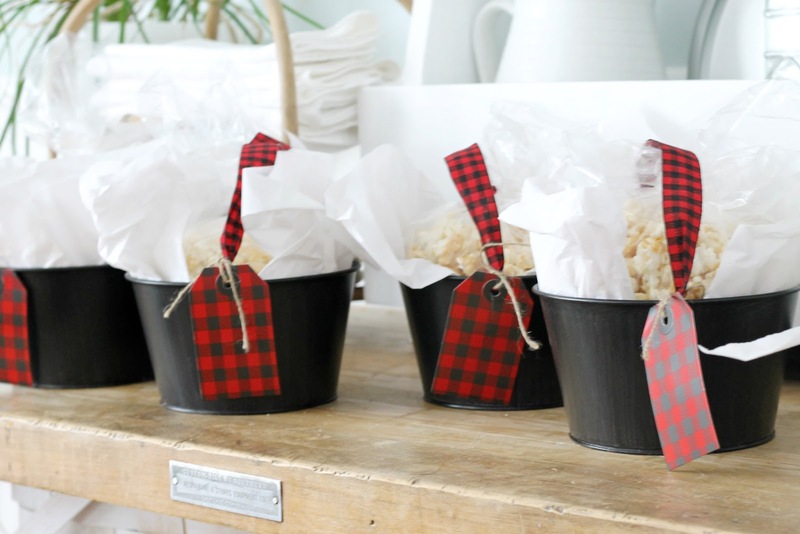 I then packaged them up in some really cute black buckets with red and black buffalo check handles that I found at Target (of course) and they even had cute matching tags to go with. My boys and I had a lot of fun putting these together and passing them out to our neighbors. It was a good way to pass the time as we wait for Christmas to get here. 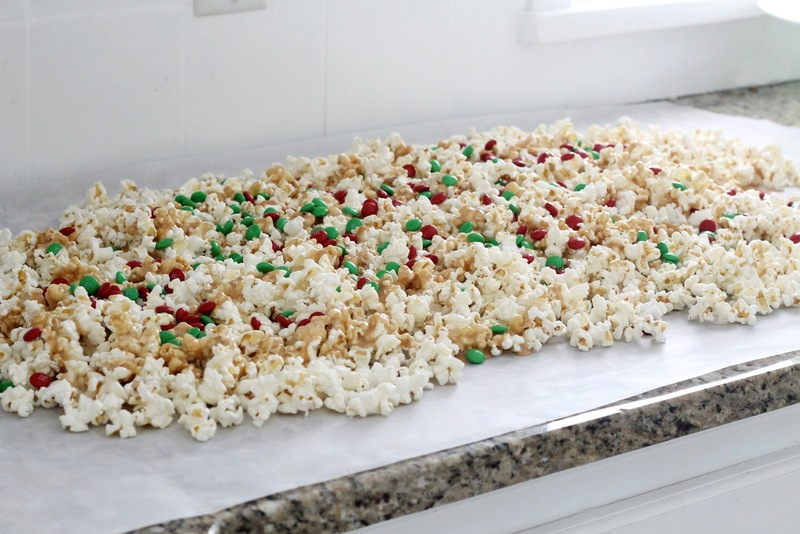 Pop your popcorn and spread out onto a large piece of parchment paper. 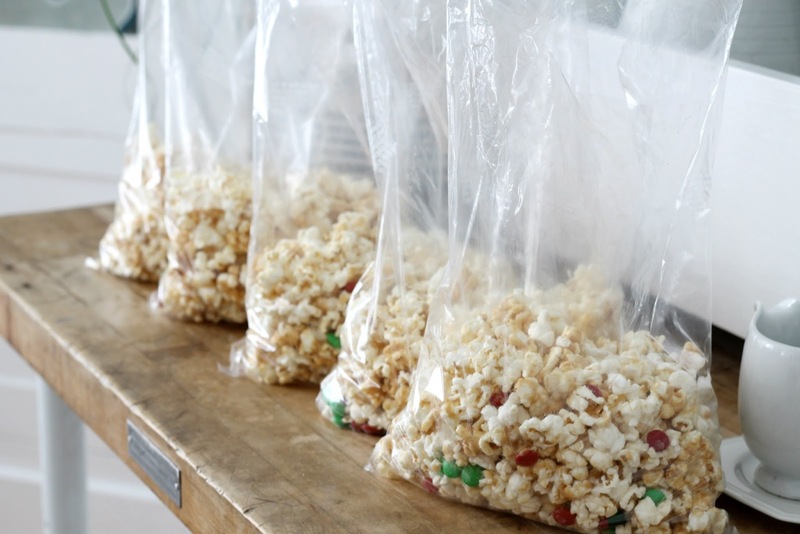 Remove all up-popped kernels. Next, melt your butter in a saucepan. Add marshmallows and stir. Mix in peanut butter until well mixed. 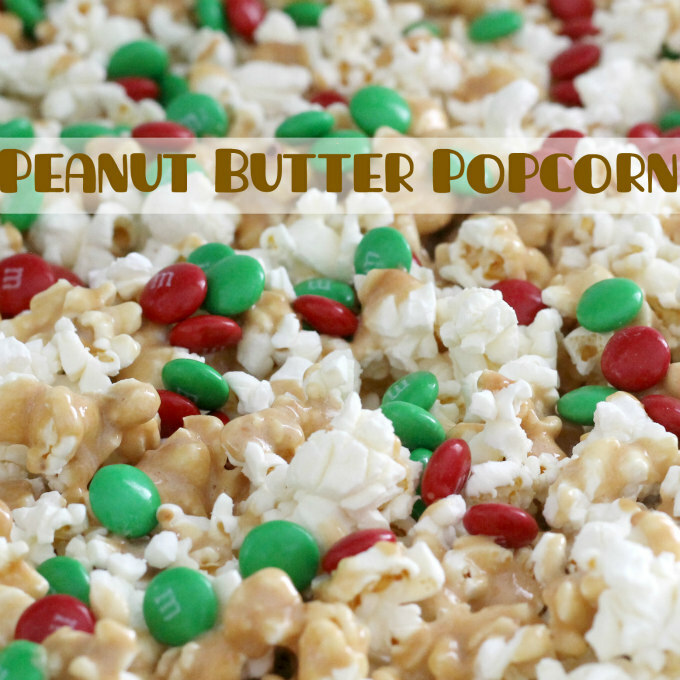 Pour peanut butter mixture over popcorn. Using a rubber spatula, toss it a bit. Lastly, sprinkle on the M&M's and let cool. Is that half a stick of butter? Just made this & it’s AWESOME!!! Added a little salt for a more sweet & salty effect – so addictive!!! I'll be making this with crunchy peanut butter, without the added sugar, for a slightly healthier version with a bit more texture!